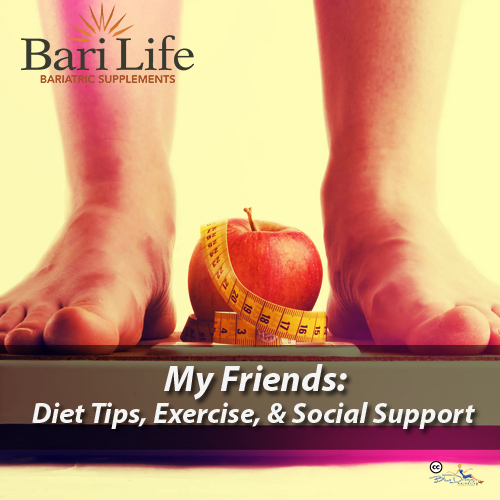 Bari Life Vitamins unlike any other weight loss programs and tips, equips you with effective, simple and fast ways to lose fats. Your image and health is top of our concern therefore you don’t have to worry any more about your excess fats. We will definitely help you take your baby steps to big leaps of a grown up in a very short while. Keep yourself busy – you don’t eat just because you’re bored. Be disciplined i.e. sit at a table and take your meal. Avoid grazing around of the fridge. You have to keep a record of everything you eat – just like journal. This will make you accountable to yourself and it is also going to keep you on track. Weight loss happens when you burn more calories than what you eat. As simple as that is, the types of exercises will intensify your work can be considered for faster loss of fats. Once you have established a routine for work-outs, you are highly advice to stick to it strictly to achieve the desired results. Be sure to check with your Doctor for the right exercise routine for you however. We do not eat every time because we are hungry otherwise there would have been no overweight people in the world today. Most of the time, we turn to food for comfort and stress relief. When this happens, we frequently gain weight. This means you should be careful with your eating habits at all times; not letting anger, stress, discomfort and other emotional tendencies sway you into eating. 4. Associate yourself with cheering peers and programs. Without social support your motivation to change your new lifestyle may slowly fade into oblivion. Also, something you may not have thought of…Watch TV programs that serve to impart weight loss and lifelong healthy eating habits. Last but not least, get the encouragement you need from your family, friends or support group who are keen to see you healthy.